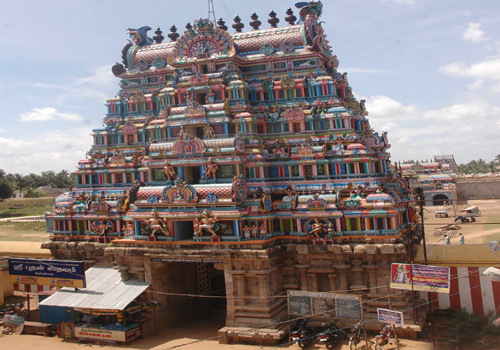 Swetharanyeswarar Temple is the 4th Navagraha Sthalam amongst the nine Navagraha temples situated in Tamil Nadu. The temple is the home for Mercury planet (or Budha). Lord Shiva is the presiding idol and is worshipped here as Swetharanyeswarar. Goddess Parvati is worshipped as Brahmavidyanayaki. This Swetharanyeswarar Temple is one of the 6 most sacred places on the banks of river Manikanigai and Cauvery which is considered as equivalent to the temple at Varanasi. chidambaram he done the first dance here. Those who visit Thiruvengadu will find relief from puthira dosham, poor studies, mental instability, nervous disorders,knowledge, music, astrology, maths, sculpting, medicine, language skills are the beneficial aspects of Budan. Lord Shiva is known to have performed his seven forms of dance or Tandavam viz Ananda tandavam, Sandhya tandavam, Samhara tandavam, Tripuranta tandavam, Urdhva tandavam, Bhujanga tandavam and Lalita tandavam here. 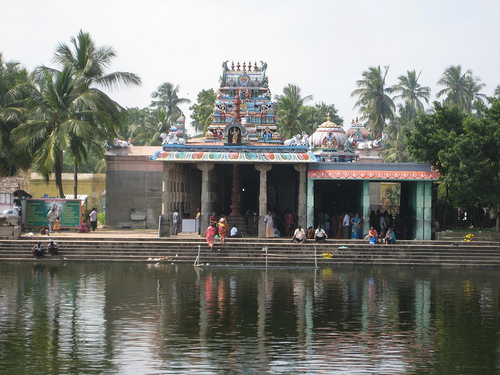 Swetharanyeswarar Temple is a Hindu temple located in the town of Thiruvengadu near Sirkazhi. The main deity is Shiva-Swetharanyeswarar ("lord of white forest") and the goddess is Brahma Vidya ambal. There is a separate Sannidhi for Bhudhan (mercury). The temple is quite large and all four important Saivite saints have sung in praise of this lord. Swetharanyeswarar is one of the main god who is being prayed in this village.Thiruvengadu village is also famous for its unique structure of pools in temples. The temple also contains 3 holy tanks or theerthams known as- Surya theertham, Agni theertham and Chandra theertham. It is said that these theerthams were formed from 3 drops that dropped from the eyes of God Shiva during his dance act. It is a belief that who takes bath in all these pools, the one will be free from their problems like diseases, delay in marriage, etc.,. Another rare feature is that the deity is present here with five faces viz Easanam, Tatpurusham, Aghoram, Vamadevam and Sadyojatam. They represent direction and an aspect of Lord Shiva. Easanam is facing the sky and represents purity, Vamdevam faces north and represents sustenance, Tatpurisha faces east and represents spirituality that has destroyed the ego, Aghoram faces south and represents the destructive and regenerative aspect of Shiva, Sadyojatam faces west and represents creation. There are many festivals which are being celebrated in this village. It includes the chariot festival which is celebrated every year in the month of February. This Chariot festival is celebrated for 10 days. On 5th day a special occasion is celebrated for Lord Agora Murthi. 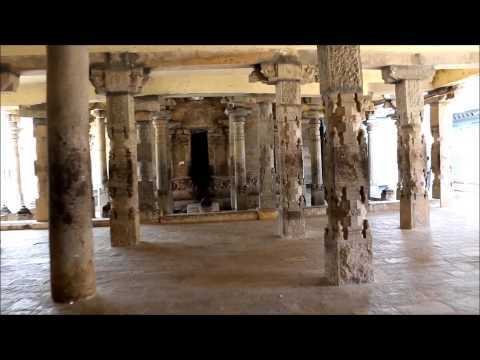 Oondreeswarar Temple, Tiruvenpakkam, Tiruvallur, T..